It is said that once you get the hang of it, jazz will take your heart. I’ve come to appreciate this genre over a very short time and I can say that it sure has taken my heart. Before I started getting cosy with Safaricom jazz, my interest, as well as my knowledge of jazz was, well, in existence but limited. With continued attendance to the concerts and most recently this one, I’ve come to discover quite a number of musicians both local and international. Most of all, I’ve come to appreciate the mad musical talent that lies within Kenya. Among the Kenyan talent that I’ve been exposed to of late, these are bands I’d certainly look out for and watch their performances again and again. This was formerly known as Juma Tutu Band until 2012. It is headed by Juma Tutu who grew up in a musical family in Mombasa. The Swahili Jazz Band blends Mijikenda sounds with sprinklings of Western, Arabic and Asian flavour. 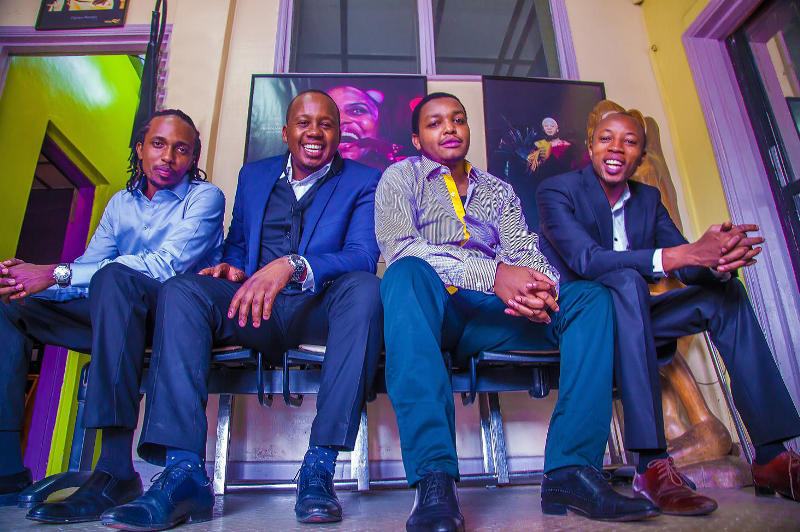 Their sound is quite unique and is made even richer by the rich poetic Swahili lyrics that is evident throughout their music. 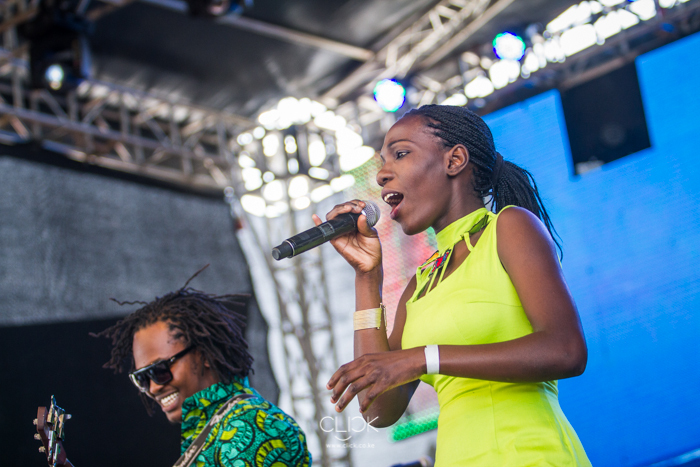 During the Band’s performances which I got to watch as they were curtain raising at the August 2015 concert at Ngong Race Course, I was particularly struck by Tatu Abdala who belted out tune after tune with such grace and poise. Edward Parseen, took me by complete surprise when he got hot on the Sax and went all legendary. I first watched this band at the African Jazz Night at Michael Joseph Centre where they were performing among other Kenyan bands in the run up to Jazz Lounge concert on December 3rd. He reminded me of Isaiah Katumwa who I had watched in Feb at Ngong Race course. Edward Parseen and Different Faces Band were the curtain raising act for Mombasa concert in the 5th December. I can’t wait to get hold of their schedule so I can watch them again. I got to watch this band twice, once at the Safaricom African Jazz Night and again as they were curtain rising for the award winning performers Kirk Whalum, Norman Albright, Gerald Albright and Shelea Frazier at Carnivore grounds. 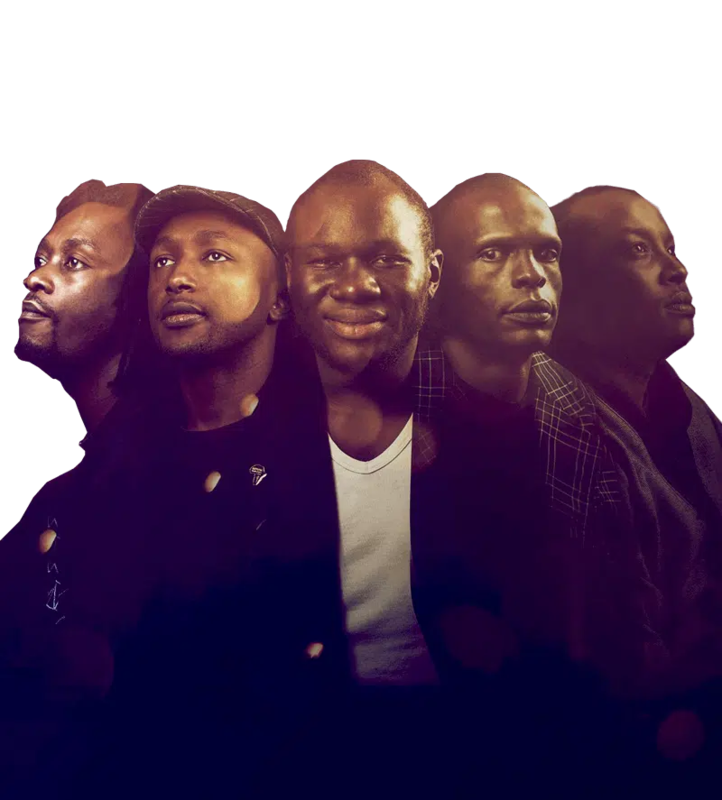 AfroSync Band members are Zach Amunga Tim Riungu, Mackinlay Mutsembi, George Mutinda, Uledi Dzidze and Victor Muli. Their music is influenced by music from Cuba, America and Africa. Their music is mature, fresh and classy. I’ve only watched this band once so I’m not very familiar but I love it and will look out for their performances here in Nairobi. First off, of all the Safaricom Jazz concerts I’ve been to, I Ioved Salif Keita the most. Maybe because of the uniqueness of his person and the adversities he has had to overcome in life to get to where he is. Salif Keita’s is music that has defied quite a lot of odds. Maybe because as much as I expected a good performance, he still surprised me the sheer power that could be felt throughout the performance. Maybe because his music is a tangent away from actual jazz, therefore different, therefore fun. Maybe because through his music, he communicates so effortlessly through all the diverse cultural and language barriers. The curtain raiser for Salif Keita was James Gogo and Gogo Simo Band and what better combination could I ask for! 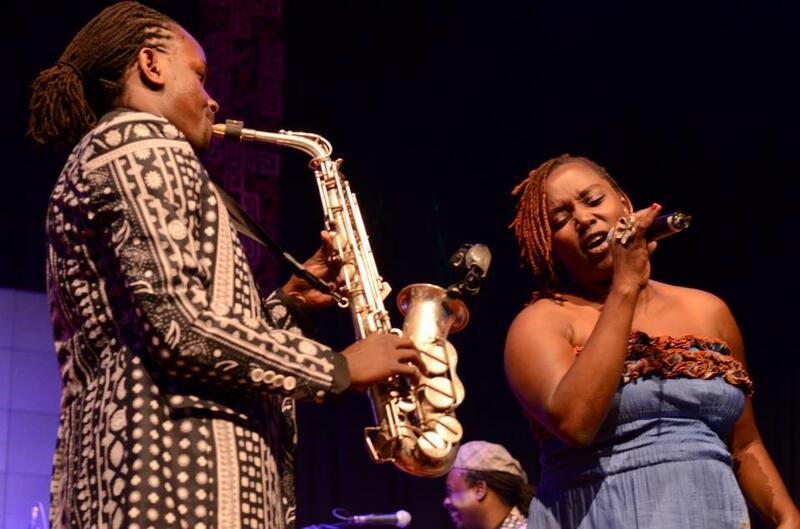 Gogo Simo Band blends Western instrumentation, African tempo beats and coastal music. Members of Gogo Simo Band are James Gogo, Susan Wanjiru, Noah Saha, Moses Karanja, Jack Muguna, Eric Mwangi and Moses Drummer.